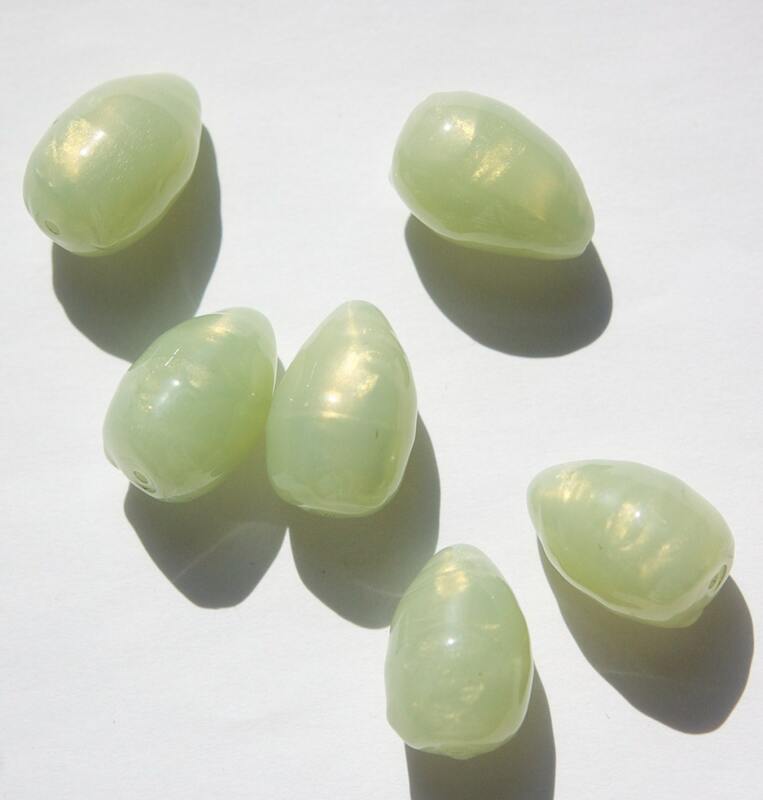 Characteristics: These are a teardrop shape with a random surface design. They taper at one end. Color: Light Green. 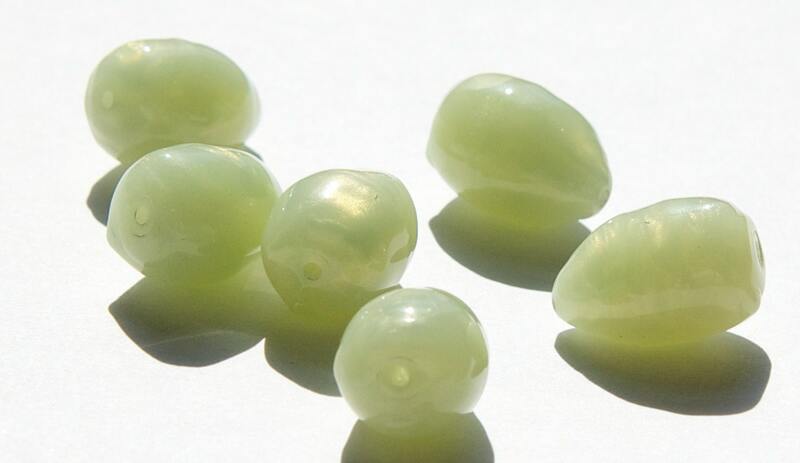 These have a silky appearance in the color when you turn them in the light.